Bet Liverpool to Win and Over 2.5 Goals at 8/15 with Ladbrokes. Bet Mo Salah To Score First at 2/1 with BetHard. Liverpool are comfortably the shortest priced team in the Premier League betting this weekend, as the Reds prepare for their clash with Brighton on Saturday evening. Liverpool are available at 1/7 to take the three points at Anfield with Karamba, the same firm offering 13/2 for a draw, or a remarkable 16/1 for a shock Brighton win. Shop around further and you can get even longer odds for the Seagulls; Bet Victor have them at 21/1 to win. Considering the record of both the team and their manager, it’s no wonder Brighton’s odds are so huge. Albion finished bottom of the away table in the Premier League last season, winning just twice and only picking up 11 points in total. In all competitions, Chris Hughton has lost his last 12 away matches against the division’s big six clubs, and by an aggregate score of 38-3. The Brighton manager’s personal top flight record against the Reds doesn’t inspire confidence either: five defeats out of five, and his teams (Norwich and Brighton) have only failed to concede five goals once. It was the last game of 2017/18, when the Seagulls lost 4-0 at Anfield. It’s a truly ugly string of results. Add in the fact Liverpool went undefeated in the Premier League at home last season, for only the second time in the Premier League era, and Brighton’s odds to win look skinny if anything. To get value out of a Liverpool win, it’s definitely worth looking at them to win to nil. Sportnation.bet offer at 10/13 about Liverpool to win to nil, and the form book makes it look like a certainty. Brighton scored just ten away goals last season, which was the joint-fewest in the top flight, and Liverpool haven’t conceded a league goal at home since February. The Seagulls’ 2-0 loss at Watford doesn’t suggest things have immediately improved in 2018/19 either, so a home win to nil looks good here. As likely as a routine Liverpool win seems, it’s not so straight forward to predict how many goals there will be. Although Brighton were poor on their travels last term, they didn’t take many hidings. In fact, only eight teams in the division conceded fewer away goals than they did, and there was only three-or-more goals in five of their 19 games on the road. 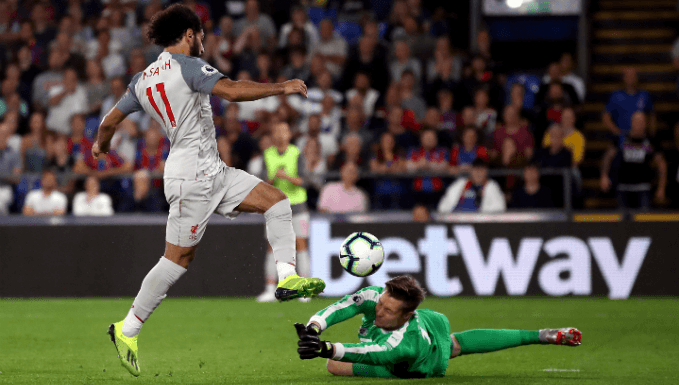 They may have conceded four at Anfield, but that was the exception rather than the rule. However, Liverpool have started the season in fine form, and nine of their 11 home league matches since last Christmas have seen over 2.5 goals. That’s the bet to go for, and it’s 5/12 that the match will yield 2.5 goals with MansionBet. You can also get 8/15 on Liverpool to win and over 2.5 goals with Ladbrokes, so perhaps go with that for better odds. It’s difficult to think this won’t be a game where you need to bet ‘no’ in the both teams to score market. As with the total goals market, it’s possible to combine this with a Liverpool win to get better value. For instance, 888Sport have ‘no’ priced at 13/19 alone, but they’ll give you 93/100 for Liverpool to win and ‘no’ on both teams to score. Until the team news is announced it’s not easy to suggest which Liverpool players you should bet on. As the Reds face Tottenham, Chelsea, and Manchester City in their five league games after this clash with Brighton, Jürgen Klopp may take an opportunity to rotate his XI on Saturday evening. Mohamed Salah is unsurprisingly the bookies’ favourite in the goal scorer markets. The Egyptian is available at 4/11 to score anytime with BetHard, or 2/1 to open the scoring with the same firm. However, Sadio Mané has been in equally good form over the last few months, scoring 14 goals in his last 19 appearances for Liverpool. The former Southampton forward scored twice against West Ham in the last match at Anfield, and is available at 16/5 to break the deadlock with Getting Bet, or 5/6 to score at anytime. Liverpool’s other man in form, and who will feature here if Klopp makes changes, is Daniel Sturridge. He was comfortably the Reds’ top scorer in pre-season, with six goals when nobody else bagged more than two. Sturridge also netted as soon as he came on against West Ham, so his odds of 19/20 to score with Grosvenor Sport are worth considering. If he begins the game on the bench, the same firm’s 18/5 for Sturridge to score last is also a sensible option.